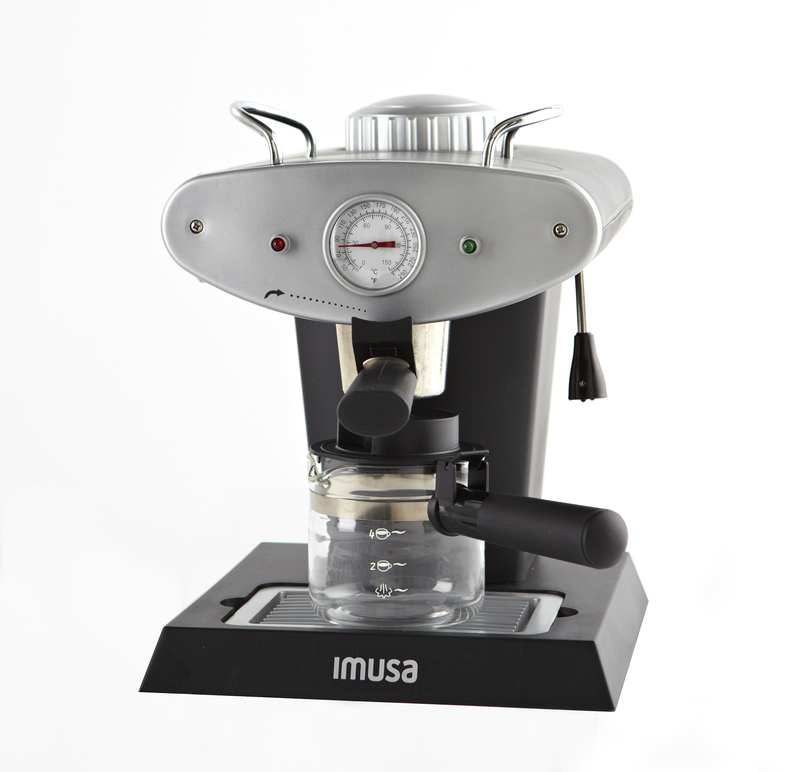 Brew up to 4 servings of aromatic, fresh espresso with the IMUSA Gourmet Espresso & Cappuccino Maker. 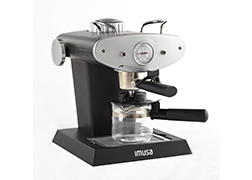 Feel the coffeehouse experience with the variable steam control that allows you to froth milk and create delicious cappuccinos, macchiatos and lattes in the comfort of your own home. 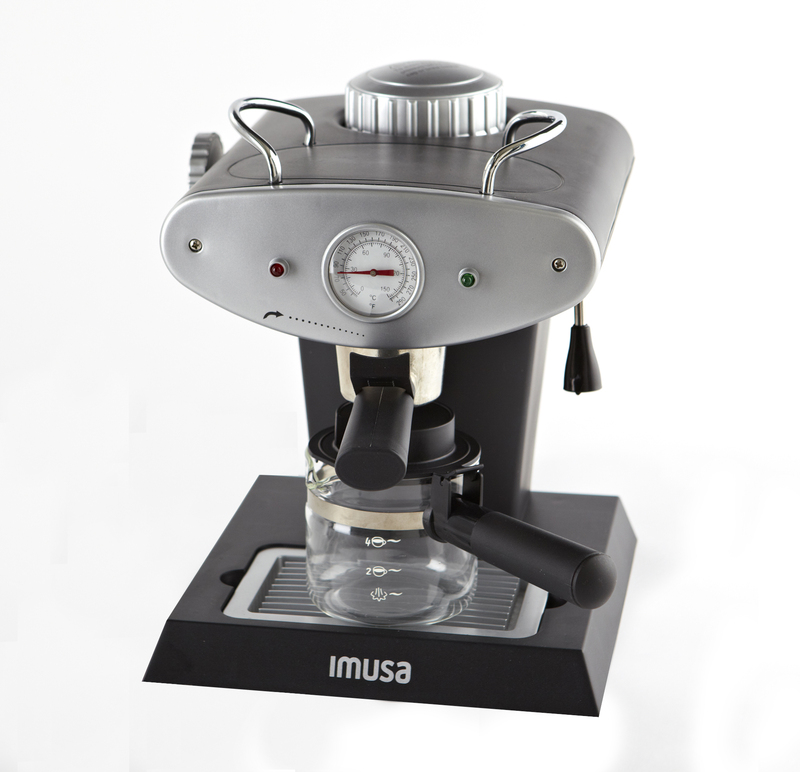 The espresso and cappuccino maker features a removable drip tray for easy clean up, and a temperature gauge for measuring the hot brewed coffee. 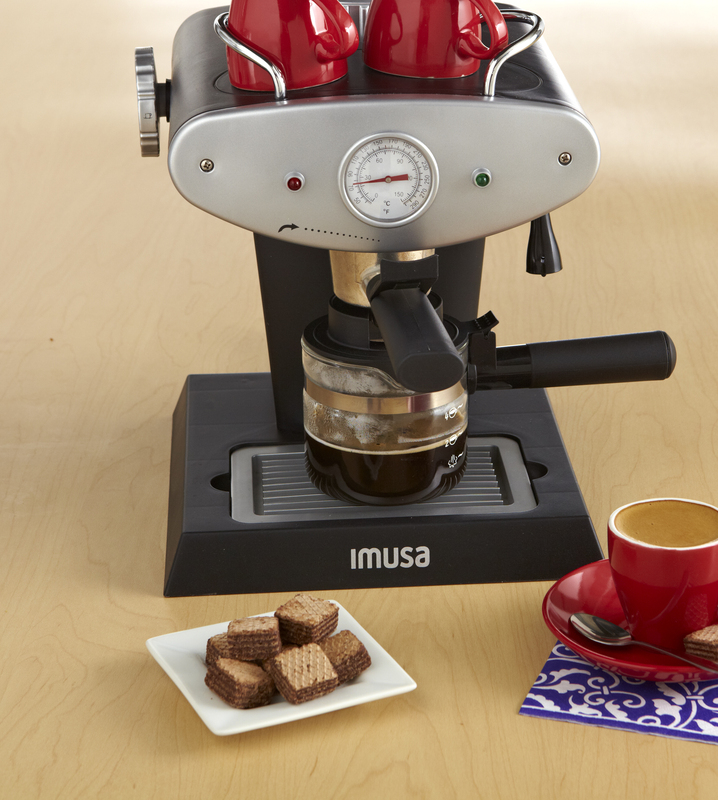 Place your espresso cups on the resting rack for convenient storage and beautiful display. 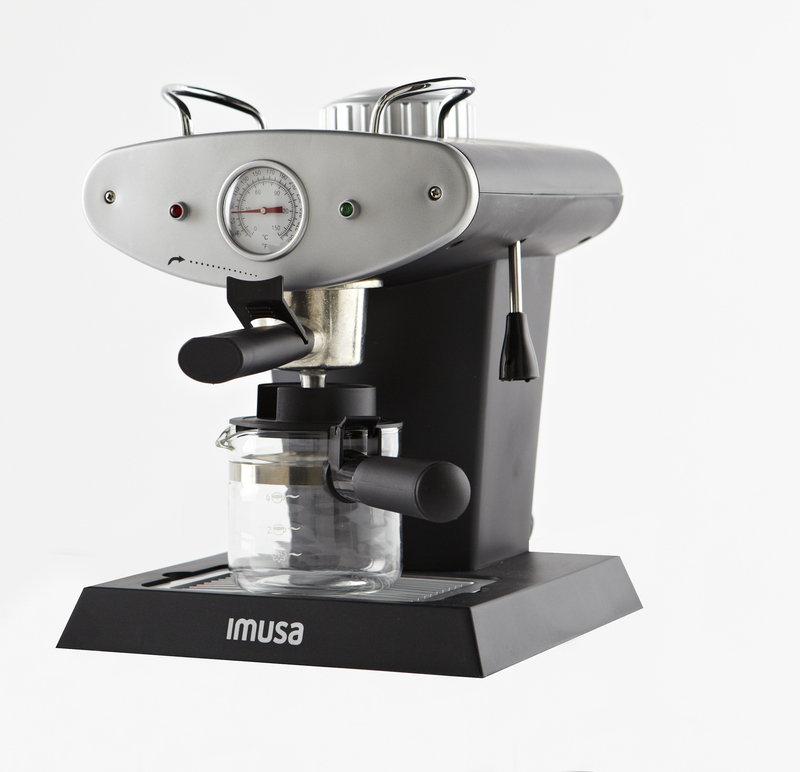 Dimensions: 12.52 in. L x 10.83 in. W x 11.02 in. H, 7.05 lbs.